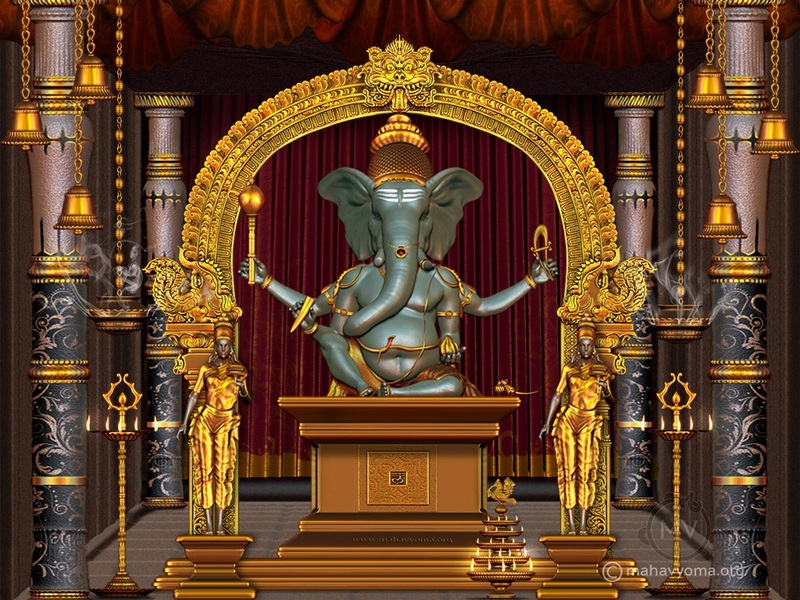 This Ganapati accompanies with his two Devis, Sri Siddhi and Sri Buddhi. Siddhi sits on right side with golden-yellow complexion. She has two eyes and well decorated with gems shredded jewelry and various types of beautiful flowers. Sri Buddhi devi is blue in complexion on left side of Ganapati with well decorated jewellery.